A seizure is defined as abnormal muscle activity, as a result of uncontrolled messages from the brain. There is a sudden, brief change in how your dog’s brain is working. When the brain cells are not working properly, your dog has the physical changes called a seizure. Dog seizures are classified as either grand mal seizures, or localized. Grand mal seizures affect your dog’s entire body. Generally the legs are extended and paddling and the head is rigid and extended. They may go through cycles of being stiff then relaxed. Some dogs may lose bowel/bladder control, and if the seizure occurs at night, this is all you may see in the morning. Localized seizures affect only certain areas of your dog’s body. Typically you may see their head shake or their jaw chatter. In the majority of cases the cause of the seizure is unknown, and it is then called epilepsy. Some of the other possible causes include: cancer (i.e. brain tumor), infections, brain trauma, poisoning, low blood sugar, hypothyroidism. Your veterinarian can discuss a variety of diagnostic tests such as blood work, x-rays, CT scan, MRI, Spinal fluid tap. There are reports that show a link between diet and seizures in dogs. One human study showed a marked reduction in seizure activity with patients on the Atkins diet. Every seizuring pet should at least try a commercial hypoallergenic diet for 12 weeks. Most alternative practitioners are strongly advising a holistic diet, naturally preserved, free of grains, and primarily animal protein. There is one acupressure point that can be particularly helpful. GV26 is the most important one, as it can help stop a seizure. It is where the nose meets the upper lip (immediately below the nostrils). This is a key one for CPR, as it can trigger your pet to breathe, and for seizures. Hold the point for 1 minute during a seizure. Essential Fatty Acids may potentially decrease brain inflammation. Here you want to have high doses and therapeutic levels of the the EFA’s; the dose being 1000mg per 10lbs of body weight daily. That equates to 1 tablespoon of flax oil per 50lbs daily. There are 2 homeopathic remedies that have been reported to be helpful by some holistic practitioners. Belladona can be given twice daily in addition to the conventional medication; the dose being one 30C tab per 30lbs twice daily. Aconite is useful for sudden conditions ( such as during a seizure), dosing it at one 30C tab per 30lbs every 15 minutes. Choline is used for certain human nerve disorders; it helps make a nerve chemical called acetylcholine. A specific choline product that can help seizures in dogs is called Cholidin. It can be given with conventional medication, at a dose of 1-2 pills daily for a small dog, and 2-4 pills given daily for a large dog. Thank you so much, Dr. Jones!! I love that you are into natural and preventative alternatives to conventional medicines. I believe in these for humans, and I certainly think that our pets deserve at least the same as we humans. In owning a pet store, and now a cat and dog rescue, I have come into contact with many people who’s pets have had seizures, but I never had any suggestions or advice for them. Now, I do. Thanks to you. I think that the ignorant established veterinary board did you a great disservice in revoking your license. I’m so glad that you took to the internet to offer your knowledge. If I may, I’d like to save this article for future reference. This article about treating seizures in dogs amazes me and I am only sad that I didnt know these important facts so I could help my baby, Kari. She has left me to be with the Lord but I miss her so much every day. I pray others can see this and learn from it. Thanks so ever much for all this information. Hellio Dr. Jones, I am glad to hear you discuss Seizures, I have a 6lb yorkie name Buttercup whom I love dearly. She was diagnose with a mild case of hydrocephalus, fluid in the brain. She had an MRI. She had been phenobarbital but I had them take her off she could not stand, then she was out on keppra and prednesone. She was taken off the steroids after a year and Just 2 wks ago weened off keppra and she gave been seizure free for 2 yrs. so far no seizures. In 2wks since taken off if all medications and no seizure since on all medications in two years. Buttercup was only about 13 or 14 wks and was having petite mall seizures which then became grand mall seizures she is doing good and I hope and pray that she have outgrown her seizures if that is possible for most of her life I have been administering meds to her 3 times a day. I educated myself and wanted her off all medicines because of sides affects. Thanks to her neurologist buttercup is doing great. I spent a lot of money and I am glad to know it is a holistic way to care for her if she every should have another seizure. She will be three years old this December. I do have flax seed and just may start giving her some daily. I hear it is good for them . Thank you, you alway give good advice. You even mentioned Trupanion is a good insurance which I had switch to before to before reading that you had said they seem to be a good choice. My bull dog Dozer does a thing we call fly biting. My vet thinks it is a form of seizure, but we are not sure. He has “floaters” in one eye and she also thought that might be the cause. I think that I might try the flax seed to see if that might help solve the problem as some days he does it several times in one day and then he doesn’t do it for a week or so. Thanks for all your holistic advice! I really wish I had access to your information a year earlier, but now I know. Thank you and please never stop giving us what you have. I lost my beloved girl to one of the most horrible ordeals of my life and I pray I never have to go through it again. Not only did she have the seizures, but she started vomiting, it went downhill after that. She died in my arms before I could get to a vet-we live in the mountains almost 2 hours away. Anyway, I have your first aid manual and dvd. It will probably be awhile before my heart is ready for another companion, but I’ll get there. What about cats with seizures? What a wonderful, concise and helpful article, Dr. Jones! I learned a lot from it and will keep it as reference material! I’m a bit surprise, though, that you didn’t mention overvaccination as a possible cause of seizures considering that the mercury content of vaccinations can cross the blood-brain barrier and wreak havoc. And then, of course, the 4-5 things that are effective at pulling mercury gently out of the system (my #1 favorite being Waiora Natural Cell Defense and #2 favorite Essiac Tea). You are a fabulous vet, with such a higher understanding and your willingness and ability to educate the masses on things they really need to know is making a huge impact on the world and I appreciate you! Thank you for a most informative article! My husky, Tundra, had his first seizure at age 2. As it didn’t happen often, about 3-4 times per year, he never received any conventional medication. We found an article on the Internet suggesting the use of honey. Since then, we were able to stop the seizures as soon as we saw the first signs. It is absolutely amazing to see him returning to “normal” behaviour immediately. The two times that we were too late with the honey to prevent the seizure, we found that honey given immediately after the seizure, helped him to recover faster. He normally doesn’t want to eat the honey, so I just put it on his foot and he licks it clean. 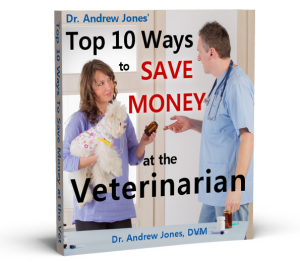 Thank you Dr. Jones for natural, holistic ways of taking care of our beloved animals. When my yellow Lab Cody had a couple grand mal seizures, the Vet said to get him in within a two hour period so that a blood test could be done to determine the cause. We’re hunting and nowhere near a vet when this happens so I got online and found information that has helped me. The article I read said to give (very specific) Haagen Daaz Vanilla Ice Cream. You can’t do that when you’re out hunting so the next best thing was butter and honey so my husband and I carry organic, unsalted butter mixed with honey in a lock&lock container and before each hunt give him a few licks and during the hunt every hour we give him some and it works. I think his blood sugar gets low because of his working so hard and running so much so I carry dog energy bars and tripe treats with me and supplement with the butter and honey and he hasn’t had any seizures since then. I watch my dog’s body language very carefully and if I see him stumble at all and it’s not because of a hole, we sit down and rest for 30-45 minutes and give him something to eat and drink. I really appreciate all your wonderful information and think it’s a shame that your license was revoked. Anything that’s good, natural, and works seems to get shut down in this system of things. Thank you Dr. Jones for this information. My 4yr old lab/pit mix has been having a form of seizure that only involves head bobbing for about a year or 2 now. She was having them almost daily for awhile and then went a few months without any, then recently has had a couple of episodes during the night. She is totally functional otherwise during the “seizure” and an interesting thing I have noticed is that when it happens during the day, if I can distract her with a toy or treat or something, the head bobbing will stop. I don’t know if it is just coincidence or not, but so far it has consistently worked. It is unnerving, though. I wish I knew what was causing this, but I can’t afford a bunch of tests. The possible food correlation is interesting, and could another possible cause of seizures be associated with yearly vaccinations? It has been engrained into us in the past to vaccinate yearly, and now there is so much info against doing that because of the possible long term effects. If I had known then what I know now, my 7 year old Blue Heeler cattle dog Sarah would still be alive. She had regular, intense grand mal seizures as a result of head trauma. A neighbour who had a huge dislike for dogs threw a rock at her head. Hard to believe, isn’t it? We were spending $90 Aud per month on medication that simply didn’t work. Sarah had lost most of her cognitive ability, she was confused, disoriented and generally suffering a poor quality of life. Thanks for the vital information. It may just save another person from the heartache of losing a beloved pet. Thank you for all the articles. thanks doc, now i knew it is epilepsy,. my 2 yr old female lab is having seizure twice since she gave birth to 7 pups.she was sick when her pups were 1 month old. our vets here in our place don’t have enough facility/equipments for dogs/cats.my heart breaks when she is sick coz our vet cannot diagnose her illness.the seizure usually take 10 minutes and after that she’ll be ok. I rescued Yorkies for years and saw all the damage that vaccines cause. It was very common for shelter dogs to have seizures, allergies, auto-immune diseases, gastrointestinal issues, organ failure 4-8 weeks after getting the combo vaccines, rabies vaccine and the rest of the poisons that shelters give every animal. We must educate people and work to stop all that’s done wrong. It’s harming and killing our animals and children. Thank you for all the great information you share! quick question- how can you press and hold for a minute the GV26 acup point on the dog s nose during a seizure and stay safe ? My dog had his 1st seizure 12 days ago he had convulsions. The convulsions went on for less than 2 minutes. I don’t know what triggers them, He gets fidgety prior to having a seizure and paces quite a bit, Winter is always the roughest time for him as he can have up to 1 seizure per week (not much when compared with what some other poor dogs). He was in worse shape on the meds than he was with the seizures, so we elected to not medicate him. i read hundreds of blogs and websites It was during a casual conversation with a friend that I learned about doctor Benson Wooley, she gave me his contact. I contacted he i explain everything to him and make purchase of the herbal product. we had full expectation that my dog will find total rest from seizures, 2 months using herbal treatment, his seizures totally reduced. After finishing his treatment, more than 1 years now, he has been totally seizure free. he have not experienced a single seizures after using Herbal treatment. his medicine does not have any side effect. My Texas Heller had what appeared to be a localized seizure today. We had just returned home from dinner and he greeted us with his usual excitement. All of the sudden, he leaned against the wall and his back leg started to shake. It was over as fast as it happened and the event might have lasted just a couple of seconds. My father over reacted and started screaming which didn’t help matters and the pup thought he was in trouble, so it was hard to tell if he was still feeling effects or just worried bapecause of the tones he was hearing. Minutes later he was his usual self and was chasing me around the house running and doing what he always does. He is 4.5 years old and has never exhibited this before. I guess my question is, what could be the cause of this? His diet consists of everything. We feed him wet and dry dog food, and he gets table scraps occasionally. Usually meats and breads with the occasional veggie. He eats just about everything. He plays hard, loves tug, chasing a laser pointer, catching tossed balls, as well as being allowed to run next to a golf cart every day for 9-10 golf holes. He chases deer and socializes with several dogs in the neighborhood. Is this symptom something he could catch from another dog? Is this something that could occur from thrashing his head while tugging on a rope? Is this something caused by his diet? We know his parents and a couple of his siblings and none have shown any sign of this. Just curious if there is something I need to be doing before I commit to taking him to the vet.